Rocked on down to Paul Bonna’s Kaffeekommune Zwei (which opened during my sabbatical) in the Gaustrasse today. 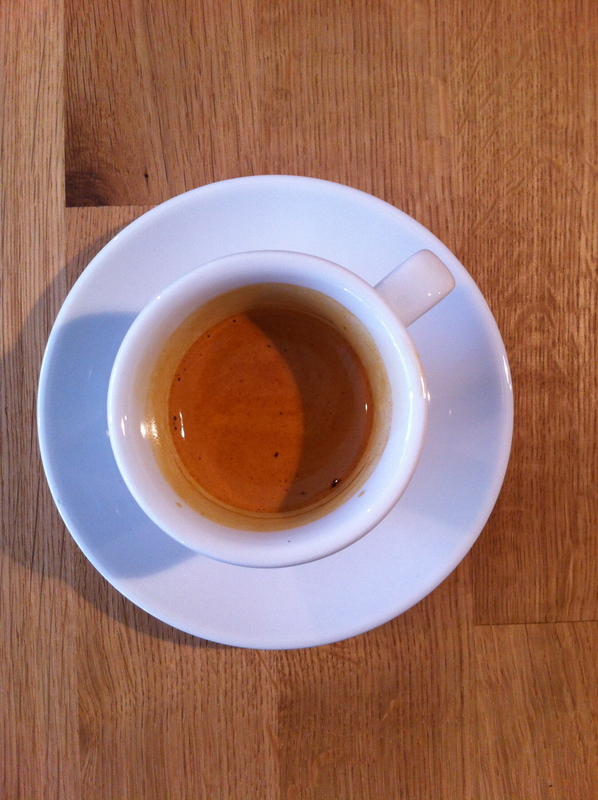 Just a STUNNING double espresso – so much intense flavour and not a hint of bitterness. Still had the taste in my mouth 10 minutes later. 21 Mar	This entry was published on 21 March, 2013 at 13:00. It’s filed under Altstadt, Commerce, Culinary, Mainz and tagged gaustrasse, Kaffeekommune Zwei, Paul Bonna. Bookmark the permalink. Follow any comments here with the RSS feed for this post. oh i could go for a cup of that! “Life is good”–you must be easy to please–just give the man an excellent espresso! Welcome back!